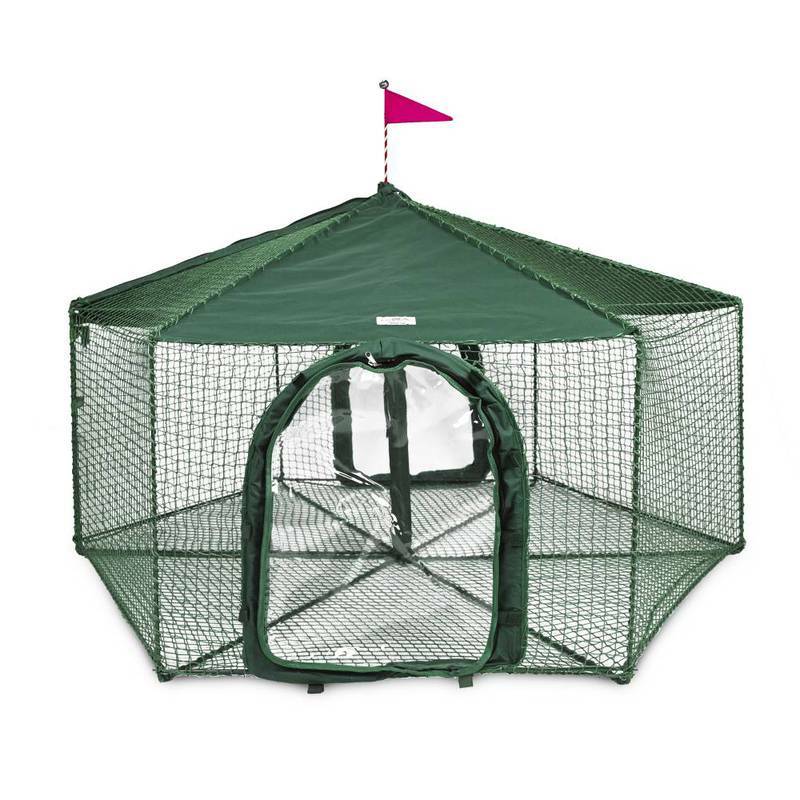 Kittywalk Gazebo Yard and Garden Outdoor Cat Enclosure Green 70" x 70" 38"
A snap to erect, the Gazebo can be used by itself or the doors can be removed so that it can easily be connected to: Kittywalk Lawn, Deck and Patio, 2/Curves, 4/Curves, T-Connect, Penthouse and Clubhouse. 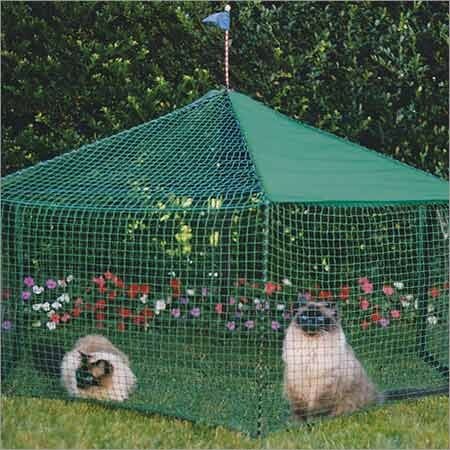 Fully enclosed the Gazebo sits on any flat surface and can be moved easily from place to place. An overhead zipper allows easy access to your pet and has a safety clasp to prevent your pet from opening and escaping. Made of water resistant fabric. Folded Dimension: 3" x 18" x 36"
40" x 36" x 5"
40" x 40" x 5"